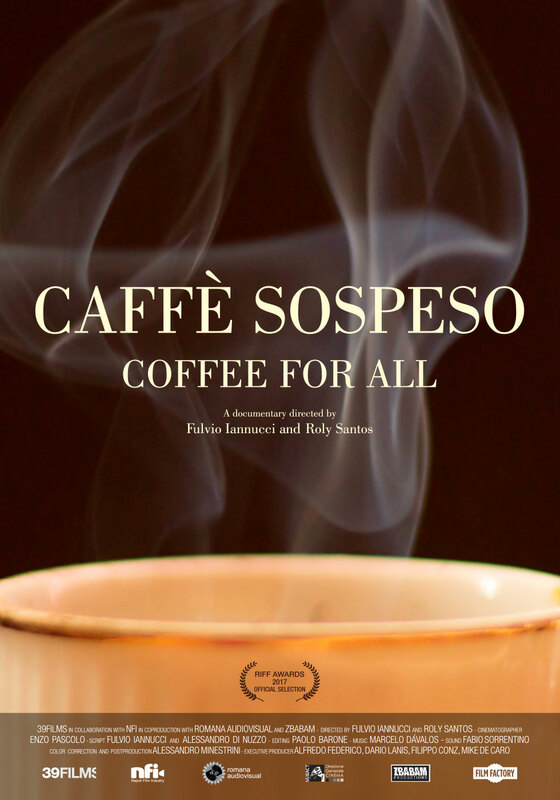 From the producers of the San Sebastian selected E Il Cibo Va comes Caffè Sospeso, a curious journey from Naples to Buenos Aires to New York that detours into a reflection on the cultural tradition involved in having coffee in different places around the world. Having coffee has become a social event. It’s an enjoyable drink that brings people together. 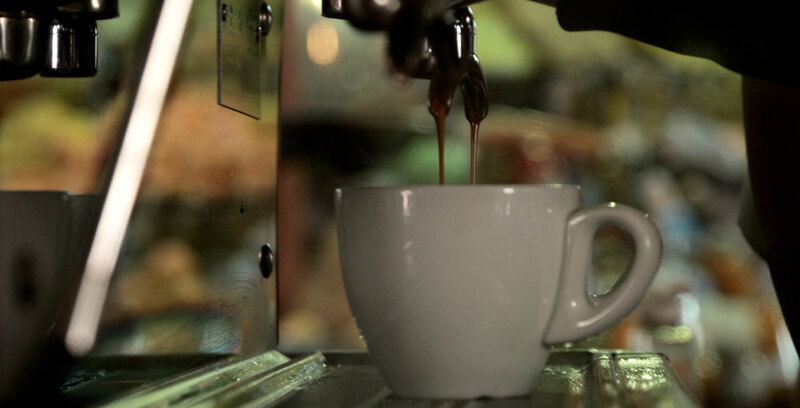 In Naples, there is an old tradition called “suspended coffee”. 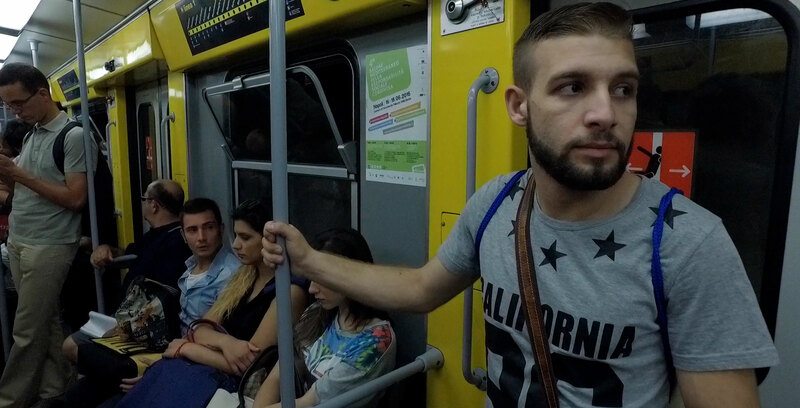 It’s a simple daily gesture of paying it forward: when you enter a café and order a coffee, you buy two, leaving the extra one paid for but unconsumed and ready to be served to anyone who can’t afford it. 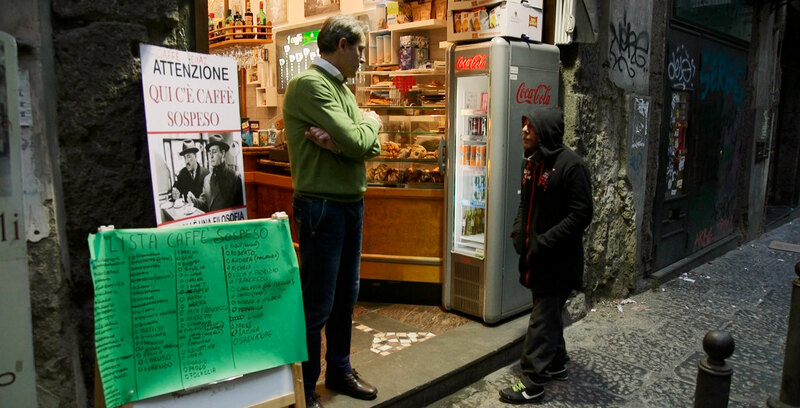 This tradition had fallen to the wayside, but now, a group of cafés in Naples is starting up again. Through the workers at these cafes and people linked to it in Buenos Aires and New York, we discover coffee as a way of transmitting warmth and energy among human beings. Or better yet, a hug.